The Good Life Down Under: Fishy or fruity...or both? 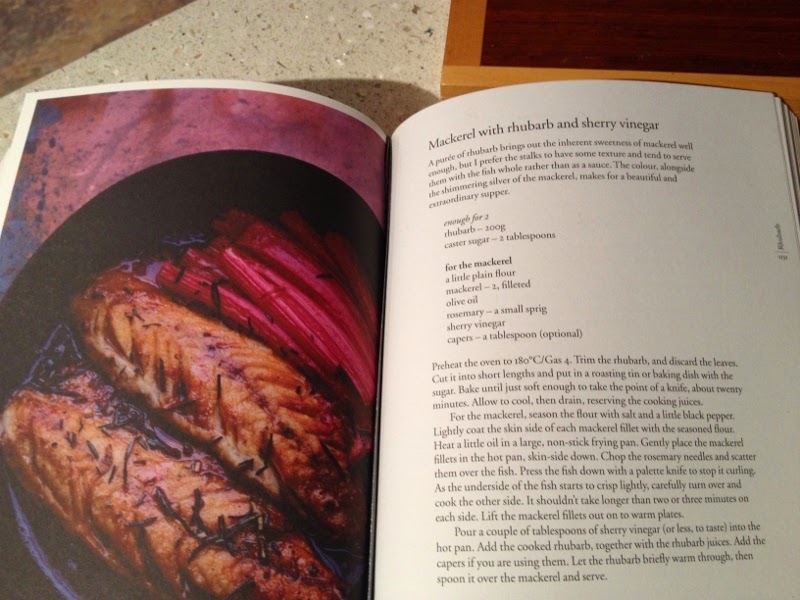 Nigel Slater's mackrel with rhubarb and sherry vinegar. 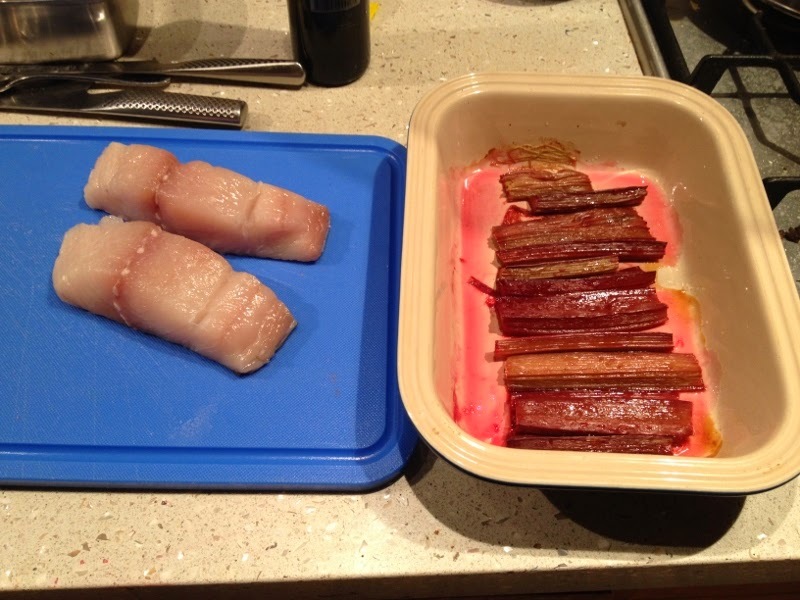 In a nutshell: pan fried mackerel served with oven baked rhubarb. 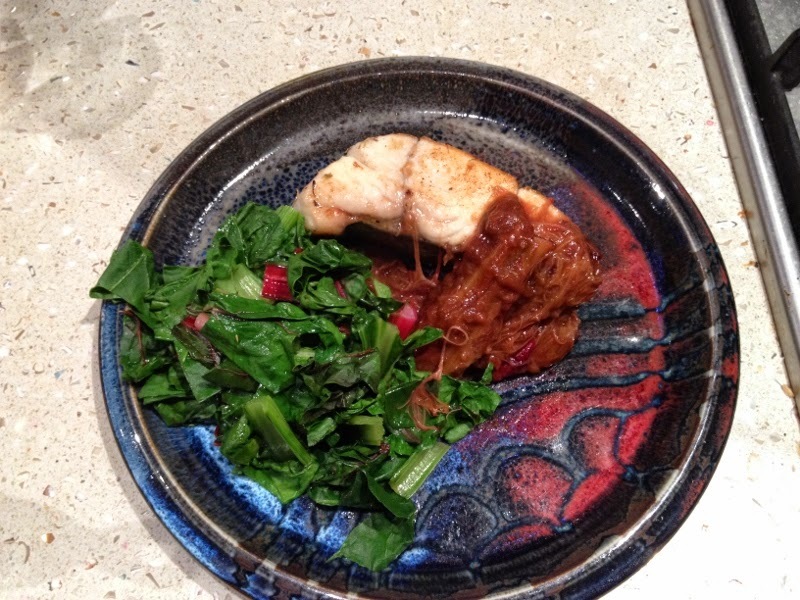 The sherry vinegar comes into it at the end when you are rewarming the rhubarb in the pan before serving. Mine was a bit mushier than Nigel's, and didn't look pretty, but the taste combination was surprisingly good.